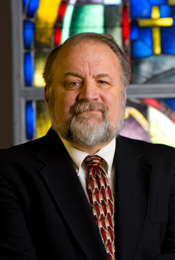 Gary Habermas has dedicated his professional life to the examination of the relevant historical, philosophical, and theological issues surrounding the death and resurrection of Jesus. His extensive list of publications and debates provides a thorough account of the current state of the issue. Christian believers as well as unbelievers may find within the contents of his site a strong argument for the philosophical possibility of miracles and the historicity of the resurrection of Jesus, as well as the theological and practical implications of this event. 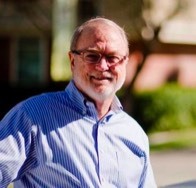 I am the Distinguished Professor of Philosophy at Talbot School of Theology, Biola University in La Mirada, California. I have four earned degrees: a B.S. in chemistry from the University of Missouri, a Th.M. in theology from Dallas Theological Seminary, an M. A. in philosophy from the University of California-Riverside, and a Ph.D. in philosophy from the University of Southern California. My ideas have been covered by both popular religious and non-religious outlets, including the New Scientist and PBS’s “Closer to Truth,” Christianity Today and WORLD magazine. I have authored or co-authored 30 books, including Kingdom Triangle, Scaling the Secular City, Consciousness and the Existence of God, The Recalcitrant Imago Dei, Love Your God With All Your Mind, The God Question, and Body and Soul. I have also published over 70 articles in journals, which include Philosophy and Phenomenological Research, American Philosophical Quarterly, Australasian Journal of Philosophy, Metaphilosophy, Philosophia Christi, and Faith and Philosophy. Is there a God? JP Moreland gives examples showing there is a God. JP Moreland gives more insight to if there is a God and if there is do all religions speak of the same One? This video are questions people thought of when we had our question and answer time after each session. So they are broke up into 3 parts.